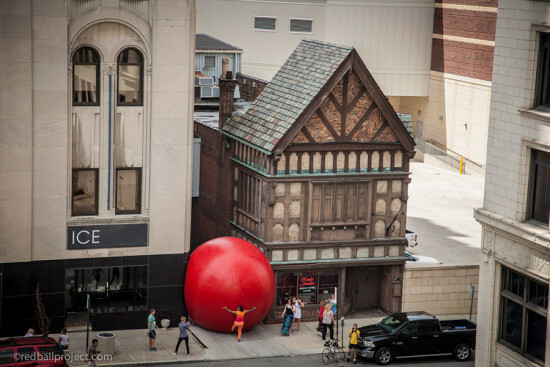 Adding a little excitement to the sleepy streets of Toledo, Ohio this weekend was an art installation gone rogue. Originally wedged between Ice restaurant and Roulet jewelers, the RedBall was rousted by high winds and bounced and/or rolled down Madison Avenue. 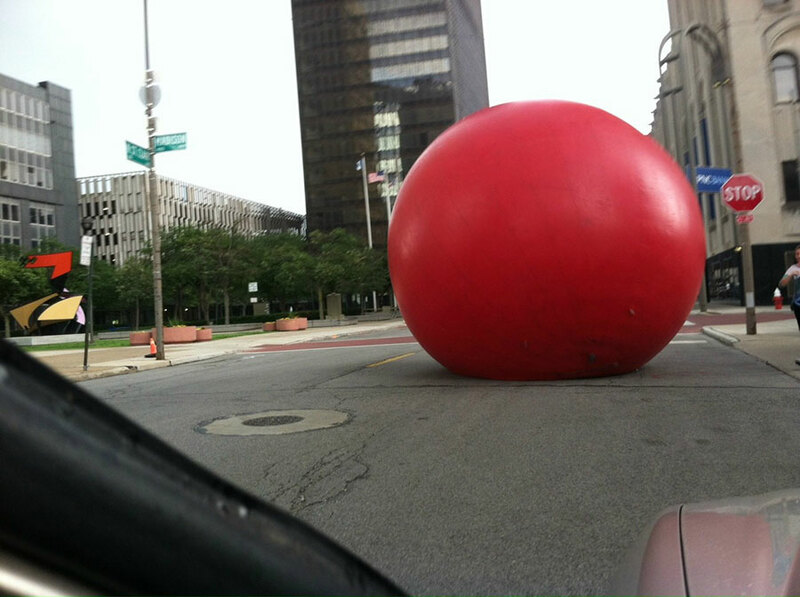 Except for a street sign that was slightly damaged by the 15-foot, 250-pound vinyl sphere, there were no injuries. Watch above as the ball wreaks havoc on the city streets below. Below is a photo of the RedBall bearing down on a sharp-witted Toledoan who took cover in his car to avoid the rampaging orb. 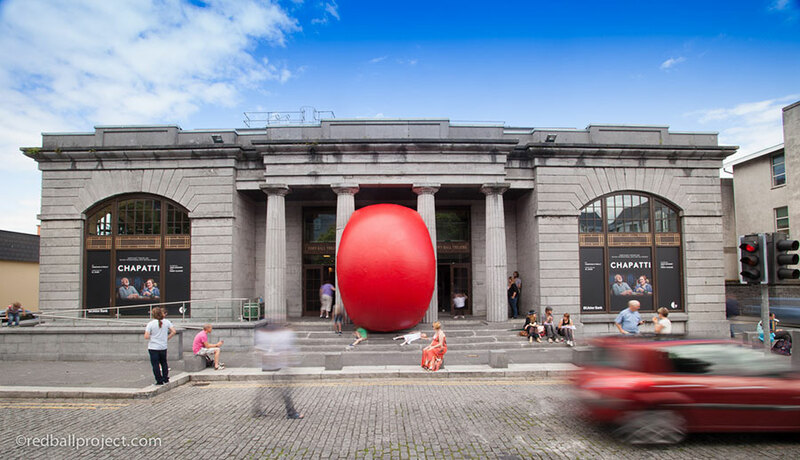 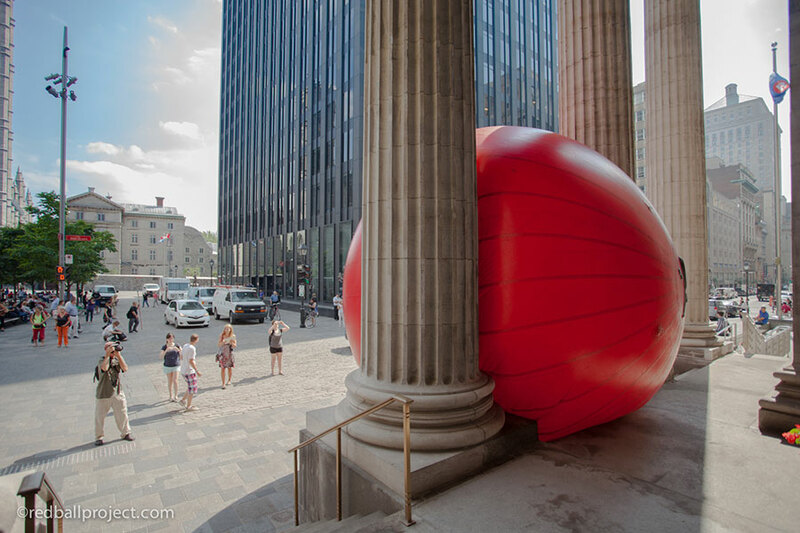 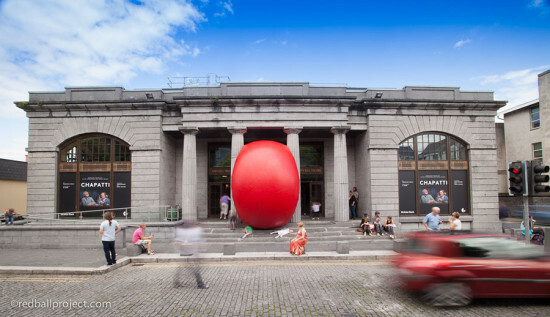 In the company of its creator, artist Kurt Perschke, the RedBall has traveled the world, its installation in various architectural contexts underscoring the particular nuances of each site. 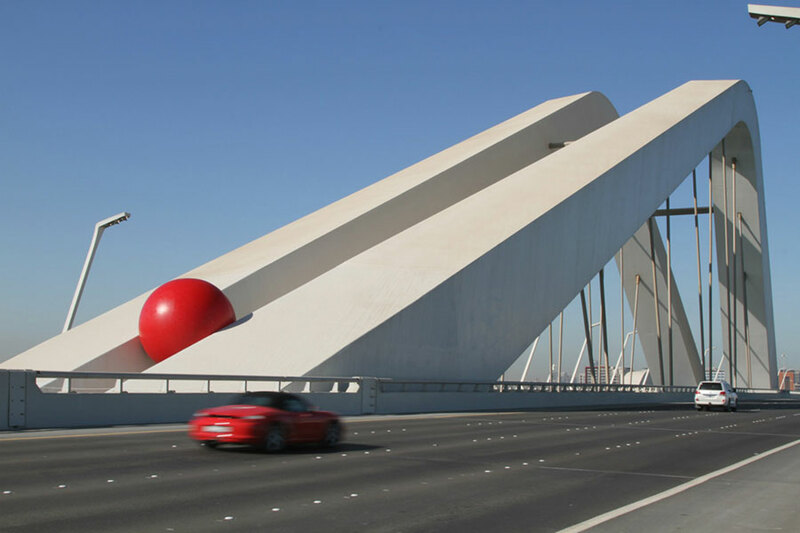 London, Abu Dhabi, Taipai, Perth, Galway, Barcelona, St. Louis, Chicago, and Toronto are just a few of the cities that have hosted the inflatable sculpture. Next on the RedBall‘s schedule are Marseille (September 19–26) and Bordeaux (October 3–11). 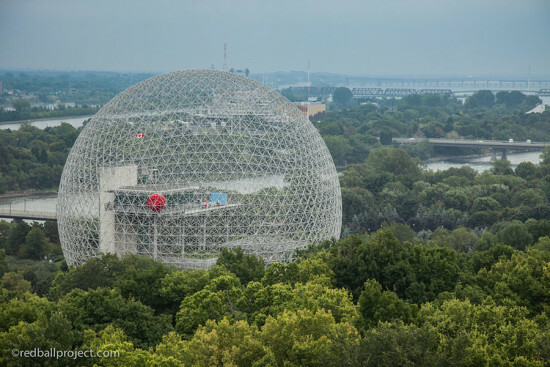 January 29, 2014 Can Lake Dredge Help Toledo’s Riverfront Shine?